Unlike college you'll soon realize that everyone takes the same classes at the same time. There isn't a la carte classes where you pick and choose courses, in medical school everything is pretty much set in stone. As one med student put it, "this year has been very stressful. I love my classmates, but I'm starting to get annoyed seeing the same people all day everyday." When it comes to extracurriculars and getting into medical school Sabrina matter of faculty put it that all the amazing things she did in undergrad didn't matter as much as she hoped when applying to medical school. The medical school admissions committee is primarily concerned with grade point average and MCAT scores. The MCAT is changing in 2015 but this exam is needed because when medical school starts it's a beast and the MCAT is a way to make sure you can handle the rigors of a medical school curriculum. However, Sabrina knows friends who scored in the low 20's/high teens that are doing just fine in medical school. I have to interject here and say this is the exception to the rule and not the norm. 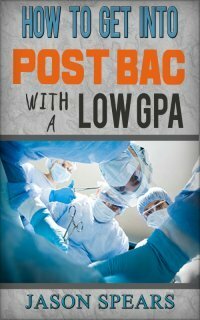 You are definitely going to need to show competitive scores on the MCAT if you want to have a realistic chance of getting admitted. These friends with albeit low MCAT scores are not honoring in their medical school classes, albeit they haven't had any trouble passing either. "I was telling a friend how if I studied like this in undergrad, I would have done soooo much better. But the thing is I don't think I even had had the concept of how to study that hard." Here's some of the changes Sabrina made in medical school. For one, she has become focused on trying to do things to adapt to ways that she learns. She has figured out that she is equal auditory and visual learner. This means for anatomy she draws pictures and in other classes she'll look at pictures in bookers or try to find a way to make a chart for something that typically wouldn't have a picture to go with it. that I completely ignore that someone happens to say something about that I would never have looked at, and of course it ends up being on the test. So at our medical school there is a lot of collaboration going around. Whereas while at my undergrad I never studied with others, to be honest I didn't even know most of the people in my premed classes. Another big thing for me is not being too afraid to ask for me. I was very prideful at first, kinda embarrassed. But at the very least if you don't wanna ask a prof, asking a classmate or tutor works just as well. Going to class is important too. All of the medical school lectures are recorded so a lot of people don't attend and just listen to the podcast. Sabrina has learned this doesn't work for her….she'll use the podcast if she has to but otherwise she is present at all the lectures because it takes her twice as long to go through a lecture when not in person. I'm sure you know why….A lot of distractions, not focused when studying on your own and anything else that can arise. The curriculum has also changed where the medical students used to be in class from 9-5. But now class is all day only 2 days a week and then a half day three times a week. Sabrina recently spoke to premeds and had this to say, "It's crazy how easy it is for us to get down on ourselves because she remembers a time when I was walking back to my dorm at undergrad and I had just been rejected from a post bac program and I was crying to my mom saying how I may not be smart enough to be a doctor because here I am getting rejected from post bacs, not even medical school, post bacs! And somehow after a few more years of hard work and persistence I ended up in medical school and passing my classes." Sabrina goes on to say she won't be an AOA (medical school honor society) student or anything, LOL, but she is here. Also she has realized that when getting to medical school that no matter how bad you think your story is, there is someone who has story much worse so it makes you more grateful. 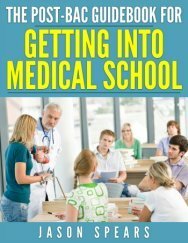 SO WHAT MADE YOU DECIDE ON CHOOSING A MEDICAL CAREER, WHAT INFLUENCED YOU?